Lighting is of great importance to many applications. The right lighting can help influence consumer purchasing behaviour in a retail store or provides proper visibility for a surgeon in a surgical room. A good lighting has often been associated with how bright and uniformly it illuminates. But besides evaluating a light source illumination, color temperature (CCT) and color rendering properties evaluations are equally important. In the lighting industry, CCT indicates the color appearance/characteristic of light source. Expressed in unit of absolute temperature known as Kelvin (K), light appears bluish if CCT is over 4000k and anything below, it will have a reddish appearance. CRI was developed by the International Commission on Illumination (CIE) in 1965 and revised in 1974. It measures the light source’s ability to accurately show an object colors in comparison with a familiar reference source like daylight. CRI consist of 8 standard colors (R1 to R8) and 7 special colors (R9 to R15). 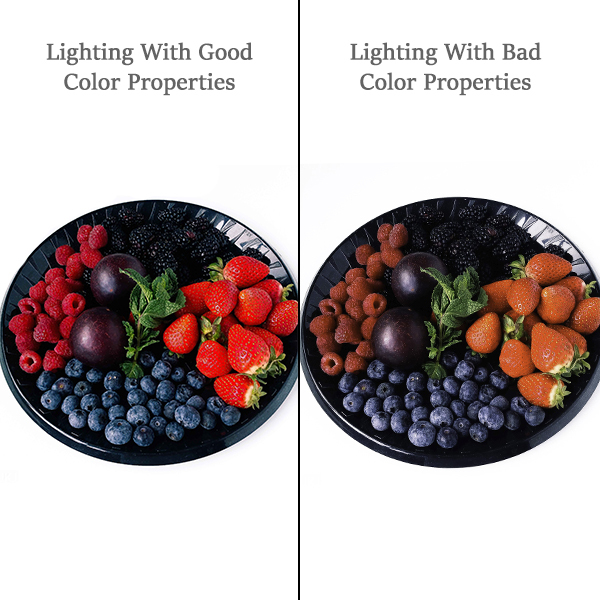 The average CRI (Ra) is calculated based on the average of all standard colors (R1 to R8) and a higher value represents better quality of light, with 100 being the highest. Konica Minolta Illuminance Spectrophotometer CL-500A or CRI Illuminance Meter CL-70F are able to measure illuminance, color temperature and CRI of a light source, providing a cost effective solution lighting evaluation. Learn and understand the basic concepts of photometry and colorimetry with our free educational booklet. Alternatively, contact us for a free consultation on lighting evaluation or product demonstration.